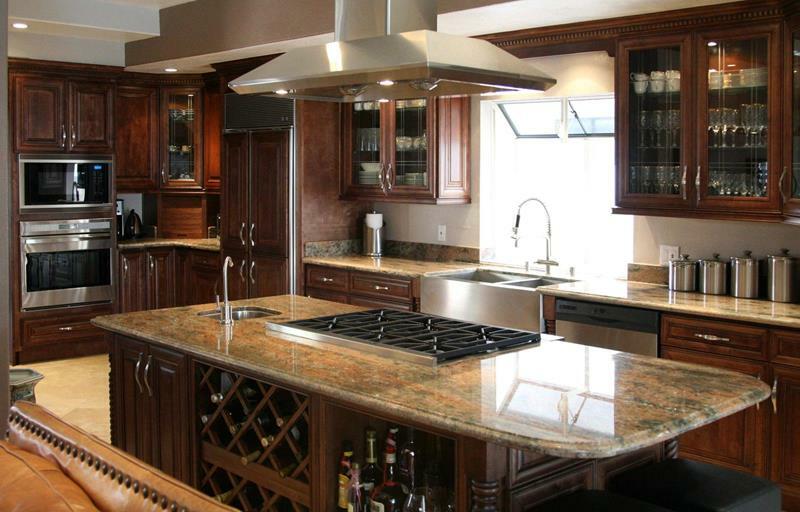 People go for a variety of different styles with their kitchen designs. In most cases, homeowners tend to go for lighter colors, hoping to keep their kitchens bright and airy places to be. However, there are many homeowners who prefer to go the exact opposite way, privileging darker colors in hopes of creating a more luxurious feel. While there’s plenty to be said for bright kitchens, those with dark cabinets can be every bit as beautiful and functional! That’s why we’ve put together this list, which showcases some amazing kitchen designs with dark cabinets. In some cases, those who designed these kitchens opted to go for dark cabinets with other dark surfaces, brightening things up with smart lighting decisions. In other cases, you’ll see examples of kitchens that balances dark cabinets with light surfaces, lending the kitchens in question a great sense of dimensionality. One thing is true of every kitchen on this list, though: they’re all beautiful. So, if you’re thinking about a kitchen with dark cabinets for your home, then check out the 20 examples we’ve collected below. You’re sure to find plenty of inspiration for an amazing kitchen design of your own! 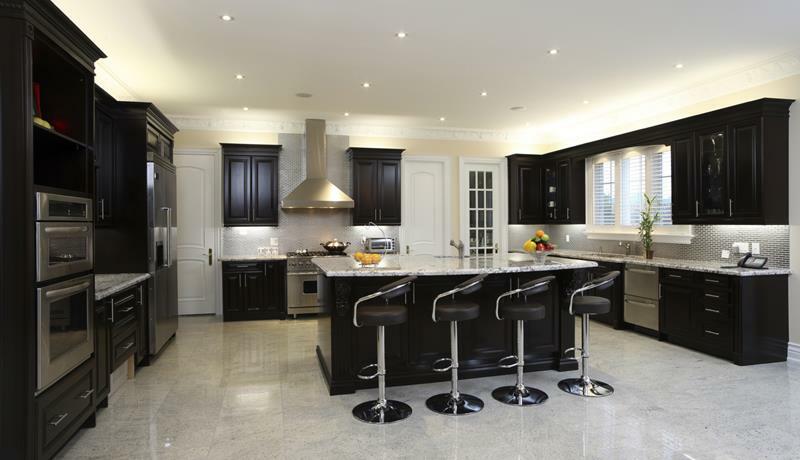 Against white walls and ceiling, the dark black cabinets of this kitchen design really pop. 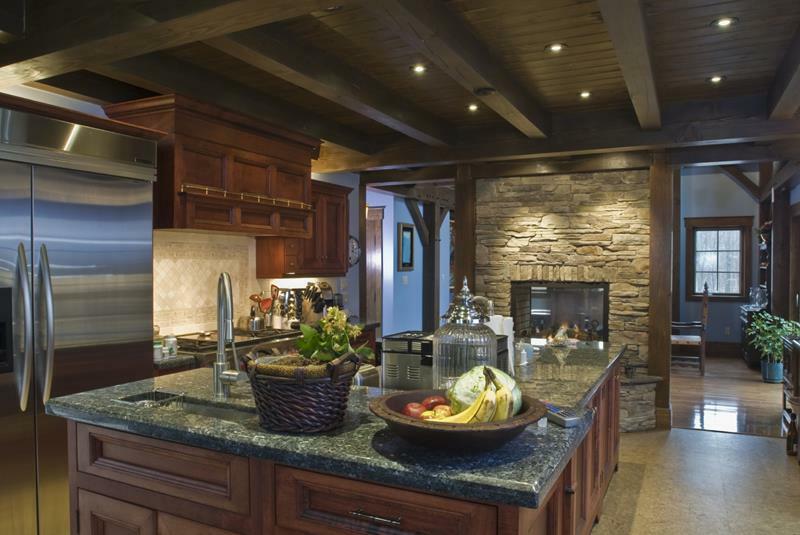 Those low-hanging lights over the center island in this kitchen with dark cabinets really complete the style. 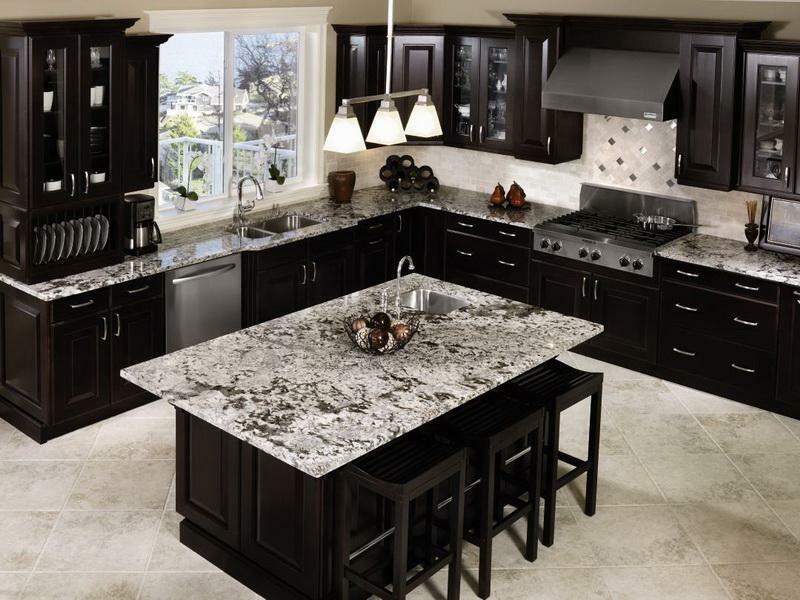 You’ve got to love how the dark notes in the granite countertops interact with the dark cabinets. 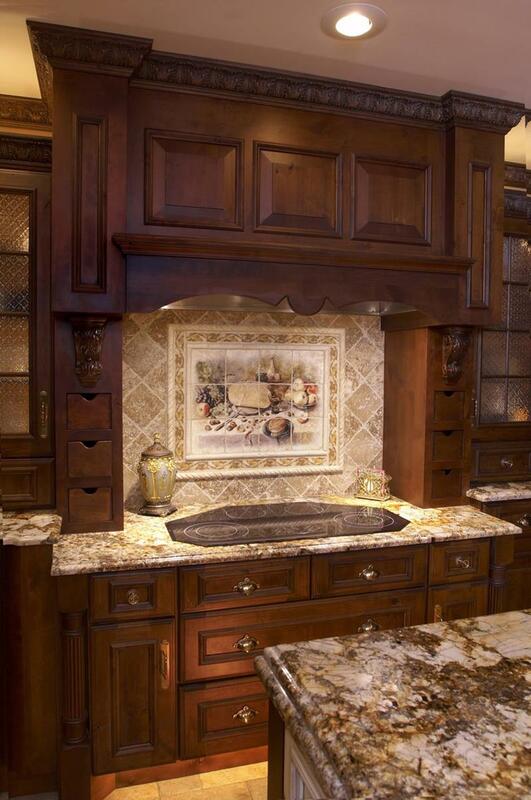 Dark wooden cabinets like this can really help a beautiful backsplash like this to stand out. The modern, metal appliances in this kitchen really stand out against the dark cabinets.